From a young age, I'm the type that is quite obsessed with cute and pretty stationery. At one point, I have been collecting cute characters erasers so much so that my mom asked me how many erasers does a girl need? And she has not even seen my notebook collections (shhh!) Haha and up until now I have not used them(because they're too cute and pretty!) and have given most away to my younger cousins. And, I guess old habits die hard. I still do go crazy over beautiful and chic stationery til today. I love girly notebooks over plain normal ones. 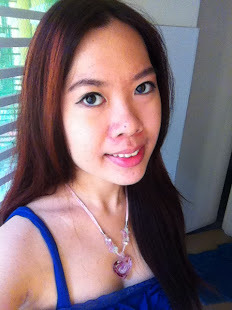 And I'm not afraid to show my 'chic' side when I use them in office or even when I attend corporate meetings hehe. And when I knew about this stationery brand, Sassy, I went gaga. Just see their collections and you will know why. 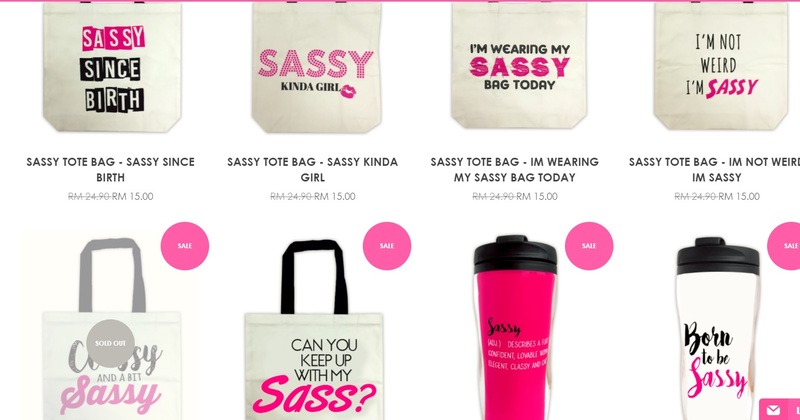 Sassy is a new stationery brand in Malaysia selling trendy gift and lifestyle stationery products. Sassy products are not only affordable and practical but also stylish and particularly designed for the stylish and Sassy female (just like me and you!). Each collection is carefully put together to cater to the vibrant styles of the Sassy lady. 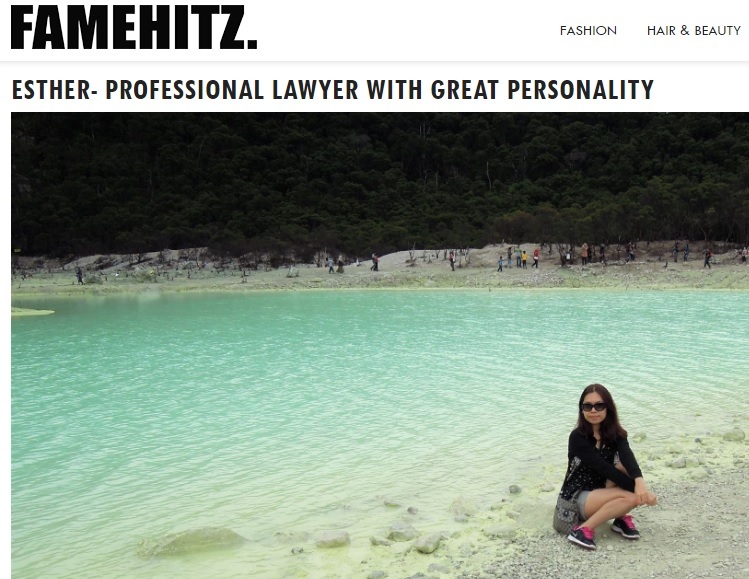 Their inspirations are from the latest fashion trends, so you can rest assure that their products are always in style! The sassy lady aims to be distinctively stylish and fun with an attitude. From lifestyle stationery to trendy fashion accessories, Sassy exudes confidence that will make every lady stand out with their chic and bold designs! Their designs are so fashionably elegant and vibrant that you cannot miss a Sassy design. A sassy lady is never shy to make a statement. When I brought my notebooks to office, colleagues were asking me where did I get these from? Especially the bright green flamingo one with a velvety cover <3 And I'm definitely not afraid to flaunt my bold and colourful products to make a statement hehe As Sassy's tagline, 'Always classy & keeping it Sassy'. To be honest, from their quality of products, I think the price range they offer is quite reasonable and affordable. Their aim is to produce classy gifts and stationery that does not have to break the wallet! Sassy have launched their online gift and lifestyle store to cater to buyers' convenience to deliver right to your doorstep. 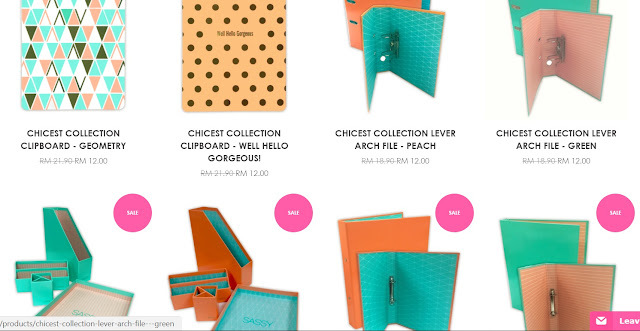 The entire collection can be viewed at their website and it's super catchy with so many colours that I am so tempted to add all of it to cart! Like what you see? Well, you can get it for yourself too at a fraction of the price. Use this voucher code: ESTHER30 and key it during checkout to receive a 30% discount off normal priced item. Hurry up as it expires on 31st October 2017.